Imagine having the chance to do mini grad school while still an undergraduate . . .
. . . and doing it with extra support. In the RESESS internship this summer, college students did geoscience research with lots of encouragement from mentors and peers, and with financial support including travel, lodging, and pay. Research topics ranged from looking at earthquake-triggered landslides to finding geologic faults to looking at zircons affected by a huge asteroid impact. Portrait of Diana Prado-Garzón. 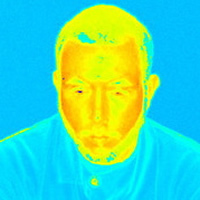 Taken with a Terrestrial Laser Scanner (TLS). Fernando Martínez. 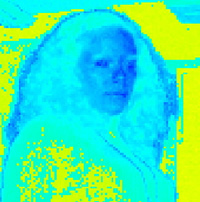 Scanned with TLS. Theresa Carranza-Fulmer. 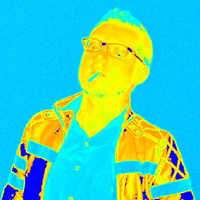 Image scanned using TLS. Andrew Lopez. 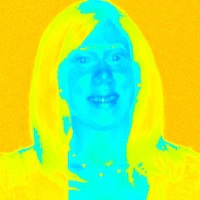 Scanned with TLS. 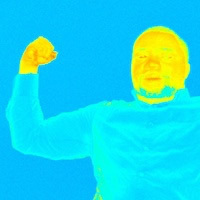 Olamide Dada. 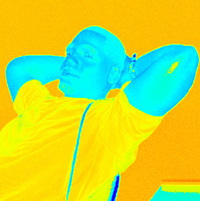 Scanned with TLS. Habib Bravo. 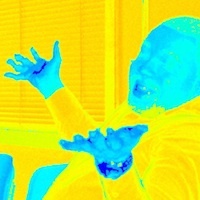 Scanned with TLS. Theresa Carranza-Fulmer. Scanned with a Terrestrial Laser Scanner (TLS). Arlenys Ramírez. Scanned with a Terrestrial Laser Scanner (TLS). John Braswell. 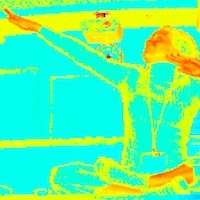 Taken with TLS. Olamide Dada. Image taken with a Terrestrial Laser Scanner (TLS). Diana Prado-Garzón doing yoga. 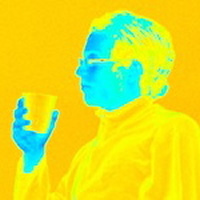 Image scanned using TLS. Interns also learned how to write a research paper in a weekly course with support from their own writing mentor. At the end of the summer, each student gave a science talk, presented a poster on their research, and then presented their work at a fall national conference. This summer, interns also had the chance to explore the amazing geology of Colorado on RESESS field trips. 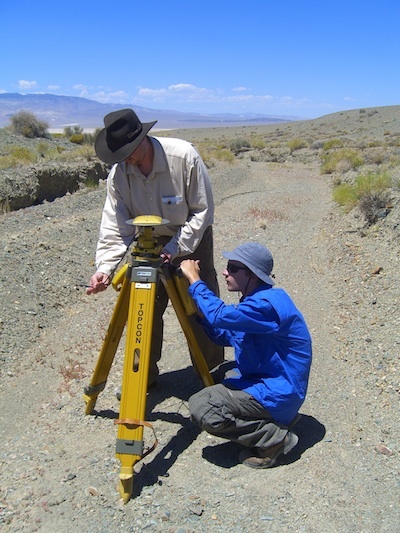 On one trip, they learned how to use a Terrestrial Laser Scanner (TLS). Turning the tool on themselves, they got the portraits shown here at left and in Figure 2. How could a summer internship possibly be any better? We support students year round. We encourage and advise the students throughout the semesters and support seniors in applying for graduate school. We also provide scholarship money, and help the students go to conferences where they present their research. Do RESESS interns think it was a good experience? Fernando Martínez talks about his experience as a RESESS intern. 35 sec. [Watch on YouTube]. "Prior to RESESS, I hadn't really considered graduate school, except in case I didn't get a job. Now I see the importance of grad school, and I have the skills and confidence to apply." - 2010 intern. "The RESESS program is very unique in the sense that it gives an intern the freedom to choose the field of research they are interested in and allows them to participate in the program up to three years." - 2010 intern. Where did interns work this summer? 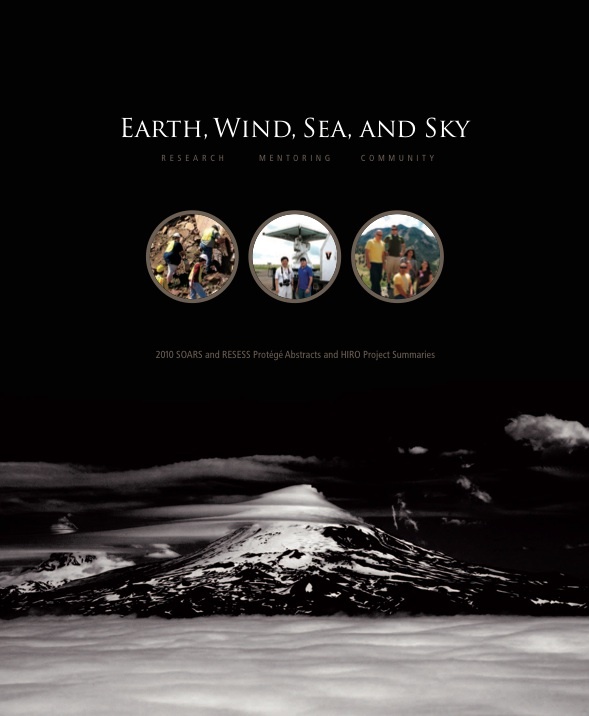 2010 Earth Wind, Sea, and Sky, a RESESS publication containing student abstracts. [PDF]. Identifying geologic controls on landslides triggered by the 2008 China earthquake. Finding subsurface geologic faults using seismic reflection in the, AR. Finding critical rainfall thresholds that cause overland flow and gully erosion. Modeling a geologic fault in Puerto Rico using gravity data. Analyzing zircons from the structure in Canada. More topics and full abstracts here. Where are interns presenting their research? 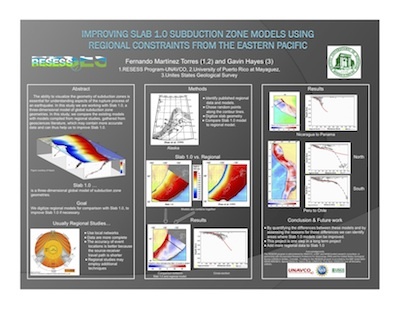 At AGU, GSA, NABGG, and SACNAS conferences, including 5 students presenting at AGU. Climbing the high ropes challenge course during Leadership Training Week (photos) with interns from our partner program, SOARS. Field trips to Red Rocks Amphitheatre and Dinosaur Ridge near Morrisson, Colorado, and Rocky Mountain National Park. Presenting research at the RESESS Colloquium (photos). Diversity in the geoscience workforce is extremely low. Only a handful of people from underrepresented populations complete graduate degrees in the U.S. each year [read article]. RESESS is dedicated to increasing diversity in the Earth sciences through providing research experiences with extra support to students from historically underrepresented groups. Thanks in part to RESESS, students go on to the workforce or graduate school knowing that they are not alone, and that they are supported. Our interns also learn about communicating their science to a broader audience. This past summer, we held a one-day workshop for interns on communicating science using interpretive methods that engage and involve audiences such as story telling. By the end of the day, workshop leader Professor Bob Lillie, had the students presenting skits they'd created about their own research. The students were amazed that they were able to pull it off, and they did a sensational job. Interested in Mentoring a RESESS intern? Scientists in the community can fund and work with RESESS students by applying to NSF for a supplement. Generally those students would work in Boulder for most of the first summer, and on the site of the scientist in the second summer. 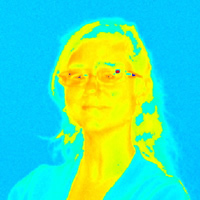 Contact Program Director Val Sloan at sloan_at_unavco.org to discuss possibilities. We thank the National Science Foundation for support, SOARS for guidance, the USGS and several universities for their participation in this program, and our beloved mentors for dedicating a tremendous amount of time and effort to the students. Are you a scientist? Consider mentoring a RESESS intern. Are you a teacher? Encourage your minority students to apply. Learn more at the RESESS web pages! 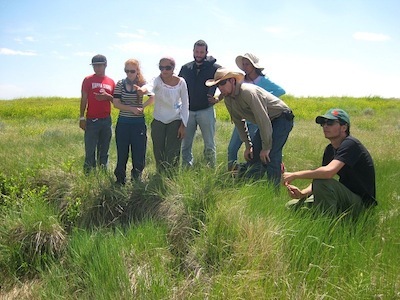 Figure 1 - RESESS interns checking out gully erosion at Bijou Creek, Colorado. 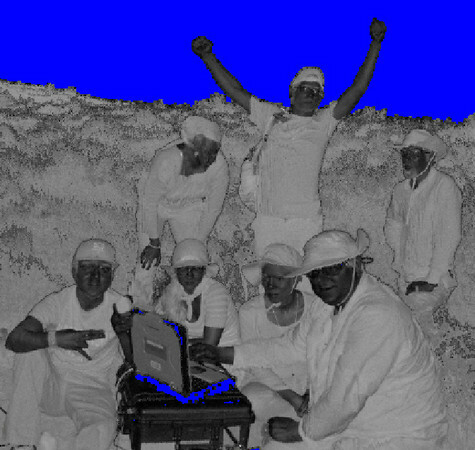 Figure 2 - A Terrestrial Laser Scan (TLS) image of RESESS interns at Bijou Creek, Colorado. David Phillips of UNAVCO and Francis Rengers, Ph.D. candidate at CU Boulder led the field trip. Figure 3 - Intern Gabriel Mattei (and Dustin Dewett, standing) doing field work in Nevada as a part of his summer research on geophysics with Dr. Katie Keranen at the University of Oklahoma. Photo by Katie Keranen. 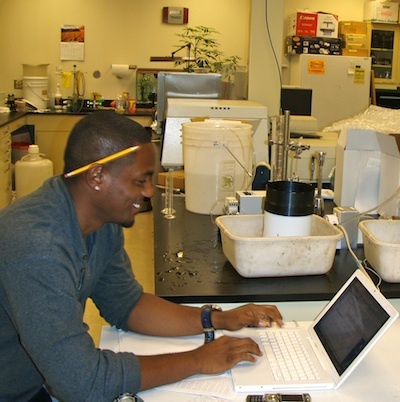 Figure 4 - Intern John Braswell working in the lab at the Univeristy of Colorado at Boulder's Dept. of Geological Sciences. 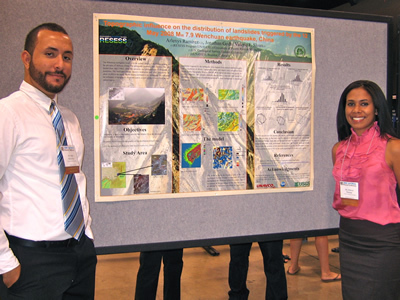 Figure 6 - Interns Habib Bravo-Ruiz and Arlenys Ramírez at the SACNAS conference standing by her poster describing her research on the impact of slope on density of landslides following the 2009 China earthquake.